Learn why projects are Late and Over Budget? Learn how to construct a Portfolio of Projects. Learn how to control a project portfolio using early detection dashboards. Understand how to resolve Resource Contention and how to prioritize intervention. Keep a Project on track from the start, delivering projects at a 95% on-time and within budget record. Comprehensive understanding of Critical Chain Project Management Principles. Resource Loading and Budget Tracking. Learn how to reconcile the project budget with the project schedule. Understand the level of Risk associated within a project schedule: Both in Planning and Execution. Learn how to use Risk Management indicator to mitigate the Risk in your projects. Learn how to leverage your available Resources in order to maximize the Throughput of all projects in your portfolio. Learn advanced network modeling techniques including Complex, Agile, SCRUM and Short Duration projects. Best Practices: Planning, Scheduling and Executing a Multi Project Portfolio. Executive’s use of the Exepron software and Dashboards to track a Portfolio of Projects. Synchronizing all projects in a portfolio of projects in order to maximize the throughput for the entire Organization. Who should attend the IC3PM Workshop? Everyone involved in Projects or Project Management - if you are sponsoring, planning, scheduling or executing a project or a portfolio of projects as a Program Manager or PMO, Project Manager, Key Resource or Team Leader - then this program is for you! Stakeholders not satisfied with their current level of Project Management Performance. Colombia - Owner, Piensalo Colombia Ltda. from India, Jordan, Hong Kong, Saudi Arabia and UAE. Cleveland, Ohio , USA - - August 1, 2013. ISCEA announced today that it is launching a Critical Chain Project Management Program for Supply Chain Professionals. The ISCEA Critical Chain Project Management Program will be delivered in 2-day public or on-site sessions. The session participants then will be able to take a certification exam and be qualified as IC3PM (ISCEA Certified Critical Chain Project Manager). Session attendees will also get a 60-day free trail of EXEPRON software. "Project management is a critical tool for all supply chain management professionals to deal with the rapidly changing requirements in the supply chain. ISCEA believes that understanding supply chains is not enough to make a supply chain professional world class because they also require project management skills to rapidly implement change in their dynamic environments. Therefore, ISCEA has decided to partner with EXEPRON, the industry leader in Critical Chain Project Management Software to develop the ISCEA Certified Critical Chain Project Manager workshop and certification program. We think this IC3PM program closely aligns with our current Certified Demand Driven Planner (CDDP) program because both are built on a solid foundation of the Theory of Constraints. 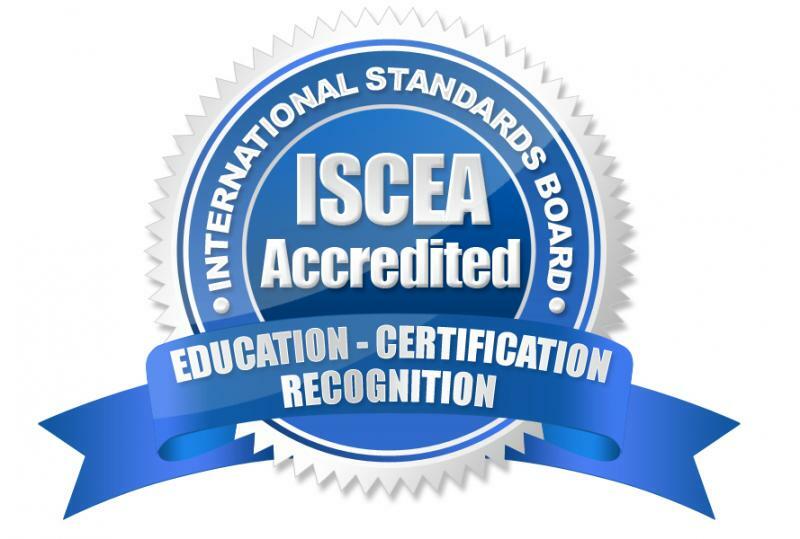 We are delighted about our partnership and think this program will be a great success for ISCEA, EXEPRON, and all of the participants in the program,” stated Dr. Charles A Watts, Executive Director of ISCEA. First introduced by Dr. Eliyahu M. Goldratt in 1997, Critical Chain Project Management (CCPM) is a relatively new, innovative method for planning, scheduling, and managing performance in a project environment based on Goldratt’s Theory of Constraints (TOC). CCPM was the first significant change about project management thinking since PERT and CPM were created in the 1950’s. CCPM differs from traditional project management methods which rely on completing tasks in a specific order with inflexible scheduling. Using the Critical Chain methodology, resources are applied to the tasks requiring immediate attention with greater flexibility, resulting in keeping projects on schedule, within budget and delivered on time. CCPM is applied in single-project and multi-project environments (PPM – Project Portfolio Management) where resources are shared across multiple projects. EXEPRON CEO Mr. Daniel Walsh has joined iGBS (ISCEA Global Business Solutions) group and EXEPRON COO Mr. John Thompson is appointed to the role of Director of Certified Critical Chain Project Manager Program at ISCEA. Mr. Walsh and Mr. Thompson bring many years of experience in helping some of the largest organizations in the world implement Project Management Solutions. Mr. Daniel Walsh is a recognized expert in developing and implementing powerful strategies that quickly and dramatically improve market presence and profitability. He has worked with companies in the pharmaceutical, construction, engineering; software, manufacturing, aerospace & defense industries. He is a sought after lecturer, coach, strategic thinker and is a trusted advisor to many senior corporate executives. Currently a member of numerous corporate boards and in addition was the former Chairman of the Theory of Constraints International Certification Organization Board, the global professional organization dedicated to setting the standards, testing and certifying competency in the Theory of Constraints. .
Mr. John Thompson is co-Founder and COO of Exepron, the cloud-based Critical Chain Project Management (CCPM) software solution and owner of Global Focus LLC, a business consultancy specializing in positioning Organizations for sustainable growth and business turn-around. He has led numerous Companies through Facilitated Analysis, Training and Implementations in many diverse Industries globally including Aerospace, Electronic Stock Trading, Auto Collision Repair, Landscape Architecture, Forest Technology, Retail Apparel Distribution, Medical Instrumentation, Composite Fiber Reinforced Plastics and Heavy Steel Fabrication Industries. John has 20 years of experience in all Theory of Constraint applications, including Critical Chain Project Management, Strategy & Tactics, TOC Thinking Process, Marketing & Sales, Distribution, Production and Throughput Accounting. John was a Certified Associate of the late Dr. Eli Goldratt and is a founding member and past Chairman of the TOCICO, the Theory of Constraints International Certification Organization.